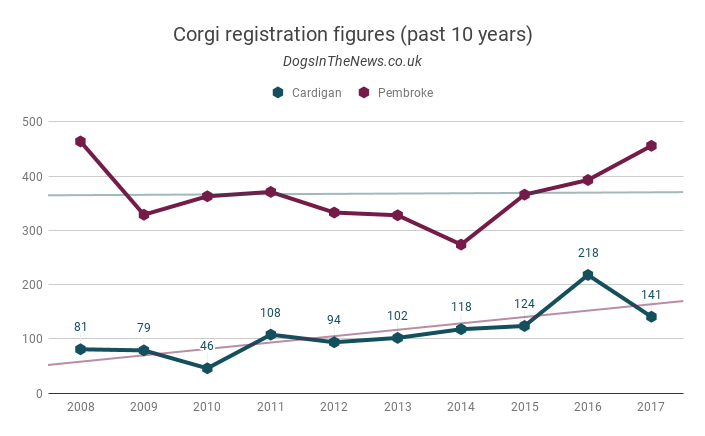 As the British Kennel Club announced their top 20 most popular dog breeds of 2017, and were quick to celebrate the impressive rise of the Pembroke Welsh Corgi, they also launched a fresh campaign to save the ‘Forgotten’ native British breeds. They’re right to do so. Britain is historically responsible for 62 of the 220 dog breeds currently recognised in the UK. Almost half of these (27) are considered in 2017 to be ‘Vulnerable’ – ie they have less than 300 annual registrations – and nine are considered to be ‘At Watch’. 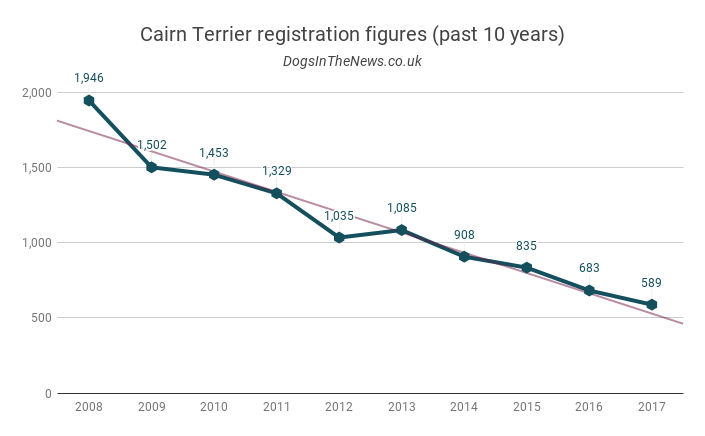 Overall, the 36 breeds on the Kennel Club’s Vulnerable Native and At Watch lists have declined by 28% in the last ten years. 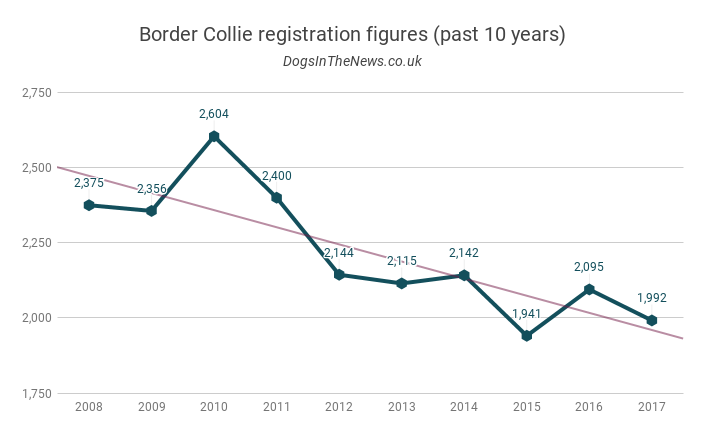 Even popular British breeds, like Border Collies, Cavaliers, and Westies, have seen significant downward trends since 2008. Among these most vulnerable, there are some significantly worrying trends. 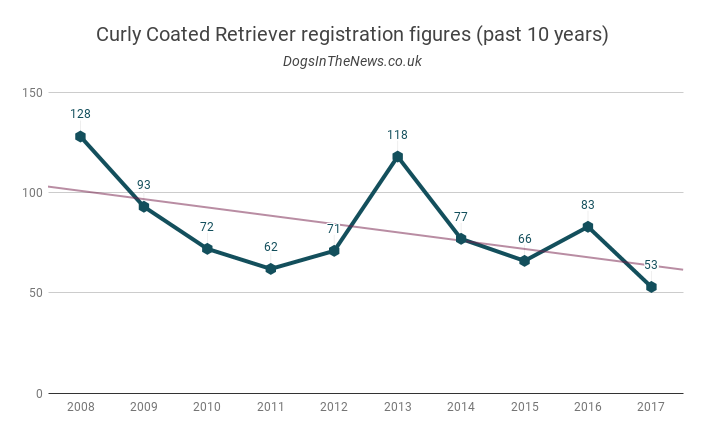 The Curly Coated Retriever, for example, has seen a decline of 55% since 2013, while the Norwich Terrier and Smooth Fox Terrier have also seen steep downward curves. 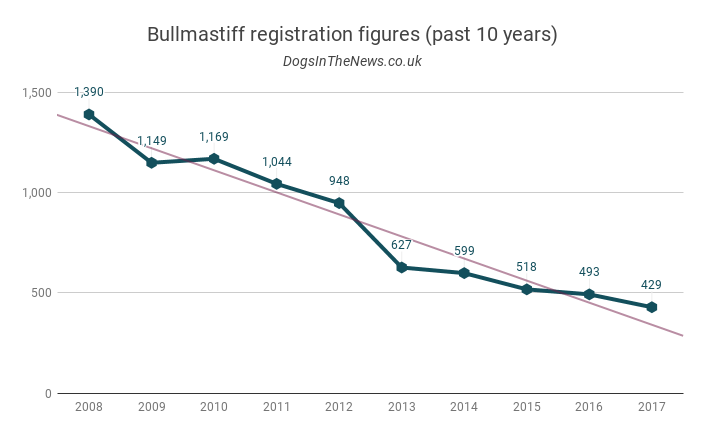 One breed, the Bullmastiff, has been added to the Kennel Club’s ‘At Watch’ list for the first ever time in 2018, after numbering 429 registrations last year, down 73% in the last decade. It’s not all doom and gloom though. The Cardigan Welsh Corgi, cousin to the Pembroke whose 39% rise was attributed to Netflix series The Crown, also saw a rise of 38% over the same period. 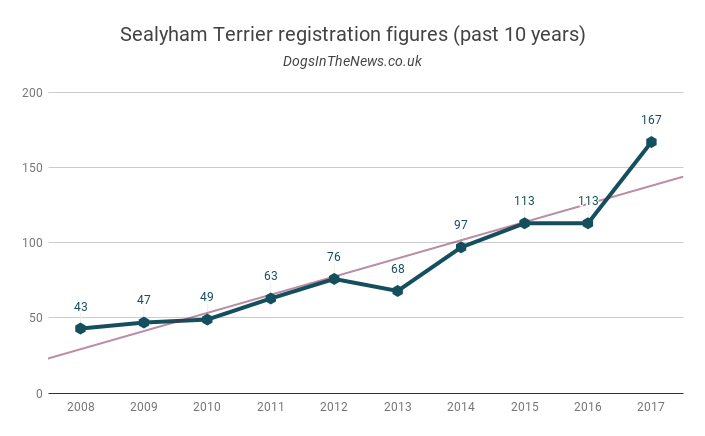 Sealyham Terriers, once dubbed “as rare as pandas” are trending in a positive direction, as are Manchester Terriers, Smooth Collies, and Welsh Terriers. 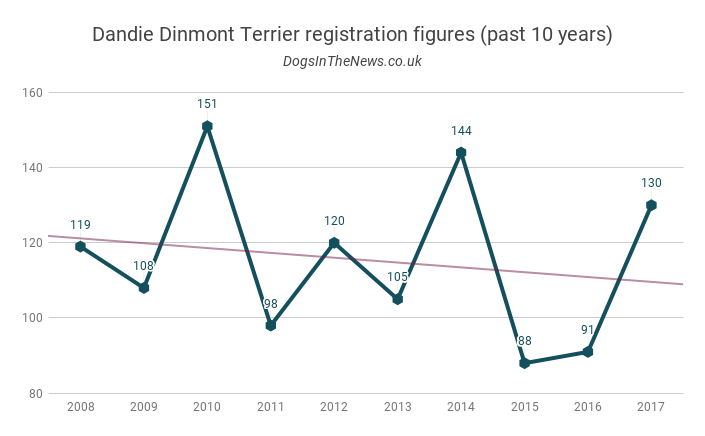 The Dandie Dinmont was recently given a prime time television spot at the start of a list of the most popular breeds in the UK, following their highly publicised 200th anniversary celebrations in summer 2014. 34 other British breeds were also featured. 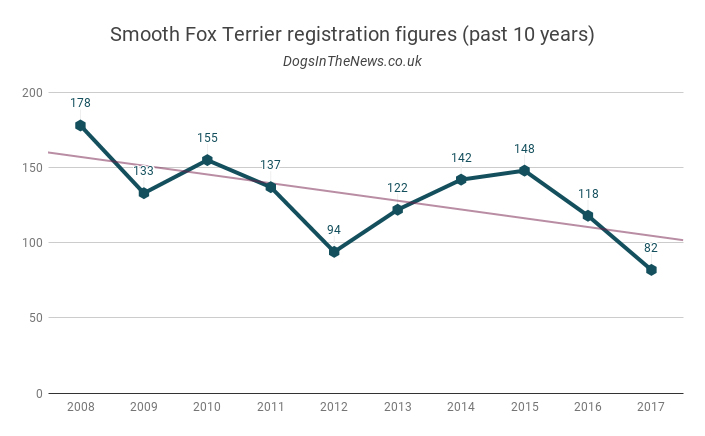 Crufts entry figures remain steady. 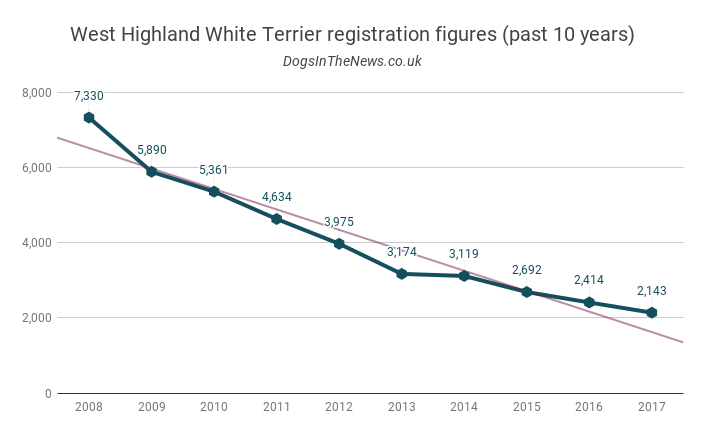 Plus, the Lakeland Terrier, Clumber Spaniel, and Miniature Bull Terrier are no longer in the bottom 20 despite having appeared there at various points over the past five years. 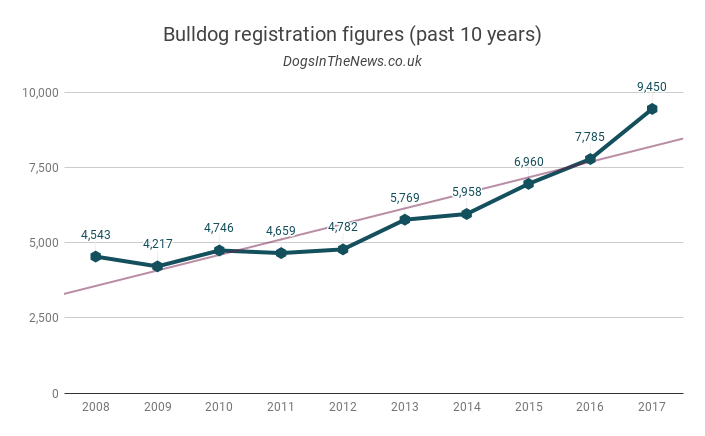 Meanwhile, up the more popular end of the British breed scale, the English Bulldog has steadily moved from 4,543 registrations in 2008 to 9,450 in 2018. Stats and analysis are all very well, but what do the numbers really mean? 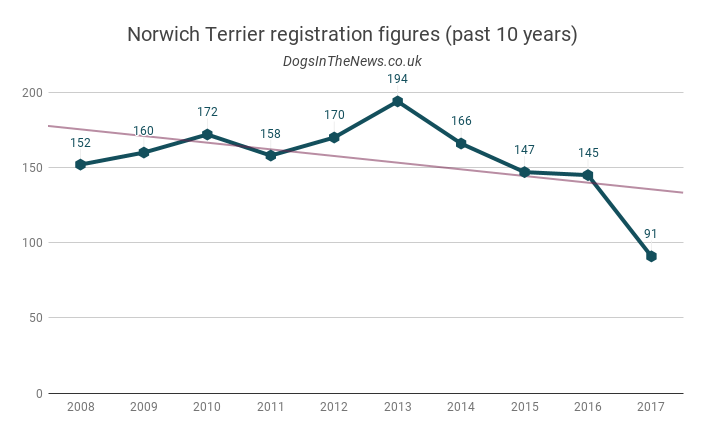 Are increased registration figures the only goal? This commentator doesn’t think so; quality and quantity should not be confused. 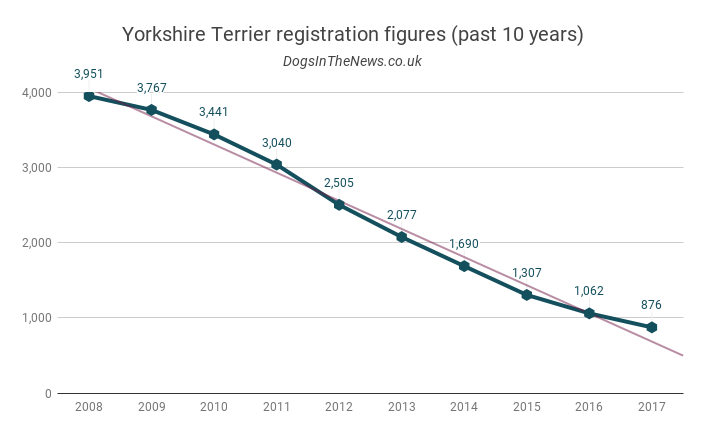 No British breed enthusiast wants to have the ‘French Bulldog problem’: a steep rise in demand over a short period of time which causes an influx of poorly bred puppies from dubious sources. But neither do we want to see these heritage breeds dwindle and disappear. Sustainability must be the object of our efforts. These wonderful creatures must not be allowed to fade into history. Ultimately lower registrations this year, or a downward trend over time, means a smaller gene pool for future generations. A lack of genetic diversity leads to all sorts of health problems, ironically reduced litter sizes being one of them. The numbers are a self defeating prophecy. So is popularity and general public visibility. 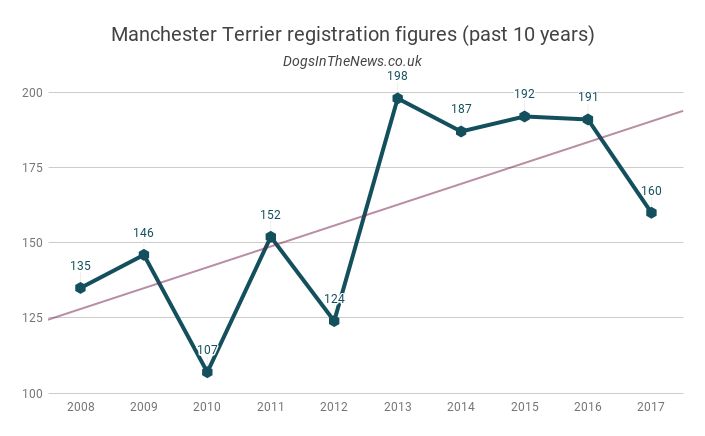 Everyone in the UK knows a Labrador (35,068 registrations in 2017); very few are lucky enough to know a Lancashire Heeler (just 119). The Kennel Club and the dog press are doing what they can to promote and publicise the existence of these breeds, but in this day and age of Instagram-famous dogs and a myriad of trendy crossbreeds, it’s difficult to stand out through all the white noise. Each and every British breed needs an army of ambassadors, both human and canine, working for them. Thankfully, many of our British Breeds do have highly dedicated enthusiasts, breeders and owners who are committed to the future of their favourites. It’s also worth noting that the UK figures are not necessarily representative of worldwide populations; many breeds which struggle in their native lands have found more receptive audiences abroad. 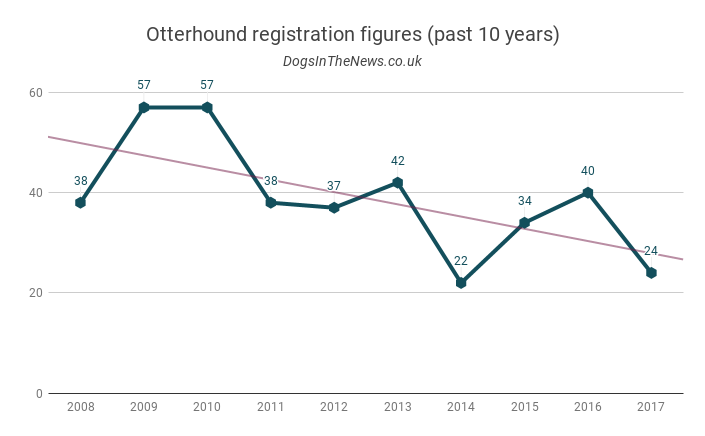 Trends come and go, as the registration statistics for Dachshunds and Chihuahuas will tell you. As we move into ever busier towns and ever smaller apartments, it’s reasonable that big, smelly, country lads like the Otterhound become impractical for the average pet owner. There’s no one simple answer as to why some breeds become household names and others fall by the wayside. Equally, there is no single silver bullet solution to reverse the declining numbers seen above. Each breed must be considered on an individual basis. There is plenty to celebrate, if you know where to look for the good news. Not one breed has become ‘extinct’ since the original Vulnerable Native Breeds project was conceived in 2003. 15 years down the line, that has to be considered a significant achievement. We’ve also added a new British breed, in 2015; the pedigree Jack Russell Terrier. These facts, plus the successes noted above, must give us hope for the next five, ten, 15 years; whatever they may bring. God save our British breeds! All data taken from the Kennel Club website. Graphics for all British breeds can be found here.